Today is another hot and humid 100 degrees here in North Texas! Even though the weather is hot and steamy all I can do is think of Fall instead of summer. This is typical for me at the end of August, especially when all the fall decor starts rolling out in the stores. August has definitely been unseasonably cooler this year with temps in the high 80's and low 90's, so I won't complain too much. We've also received several inches of rain which has been a blessing to our garden. When the seasons start to change, I find myself wanting to get into the kitchen and start baking all my favorite fall foods. 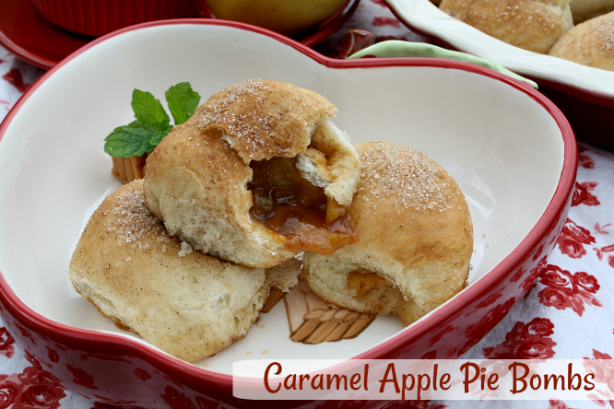 I know it's still a bit early for fall, but I couldn't help myself and baked up my first fall recipe, Pull Apart Caramel Apple Pie Bombs! 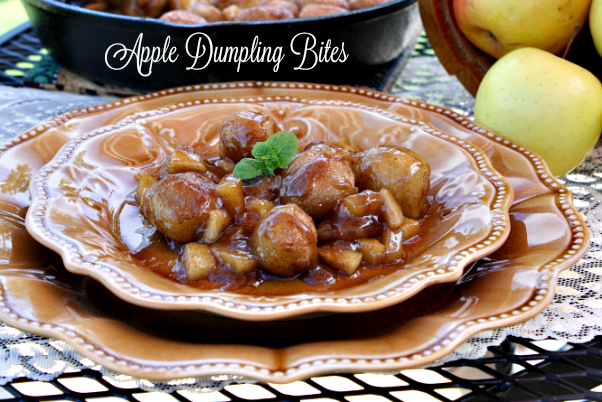 These delicious little stuffed apple balls remind me of a mini version of caramel apple pie. 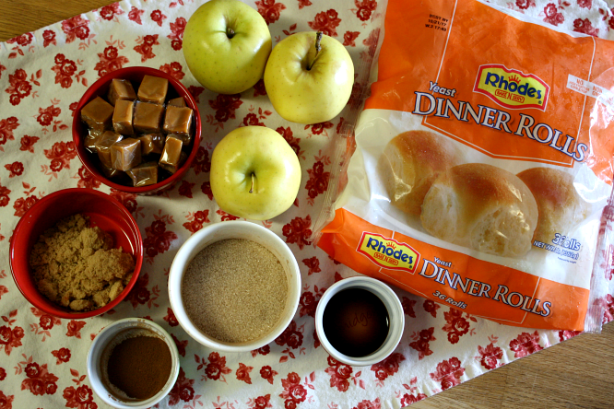 Simply wrap dinner roll dough around fresh seasoned apples, caramel candy, roll in cinnamon-sugar and bake! 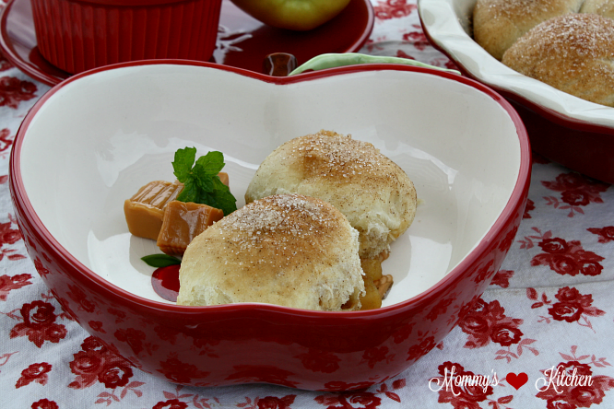 Once baked these delicious rolls are filled with an ooey-gooey explosion of melted caramel and apples. I pinned this recipe last year and I've been wanting to make it, so Today I was bitten by the baking bug and that's what I made! I did adapt the original recipe to make my own version. I used fresh seasoned apples in place of store bought apple pie filling and I also used my favorite Rhodes Frozen Dough! check out my recipes below! Place dinner rolls on a greased baking sheet and thaw at room temperature until soft, but still cold (about 1 hour). Add brown sugar, 1 teaspoon cinnamon and vanilla, toss to coat and set aside. Remove the wrapping on each caramel candy, cut in half and set aside. Roll one dough ball into a 3 x 3 inch circle, add one tablespoon of apple filling and one half of an unwrapped caramel in the middle of the dough circle. Ok, this recipe is going right into my recipe box. 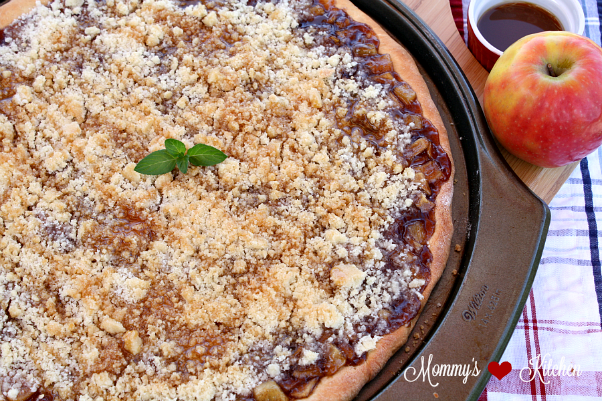 I love a good fall treat and this one fits the bill quite nicely! I haven't heard of the Rhodes bread. I wonder if they sell in my area. I'll definitely be on the look out for them! Thank you for sharing! Oh wow! These seriously look so good and easy! I've never even made an apple pie before so this will be interesting. I love coming up with new recipes before all the holiday cooking time. This will be a great addition to our feast! I have some of those Rhodes dinner rolls in the freezer. I think I know what I am going to make with them now. YUM! This screams FALL!!! I love this time of theyear. All the best recipes! These look delicious, I need to try this recipe soon. I wonder if they taste good with peach too. I love apples, but my family loves peaches. I can imaging eating them with ice cream on top and some caramel sauce. I think I found dessert for Thanksgiving, saving this recipe for sure. These all look so delicious and the recipes seem easy to follow. Scandal returns in a couple months, and I feel like these would be the perfect treats to pair with watch night lol! Wow, this looks so delicious and I"m definitely going to make this. I never ever thought to make anything sweet with Rhodes dinner rolls, this is such a good recipe. I would enjoy one with a cup of coffee! This is such a neat recipe! It's kind of a cross between apple pie and apple cobbler. It looks so easy to make, and I bet it smells amazing. My family would love this for dessert. I LOVE all things apple but have never seen a recipe like this. I bet it's delicious and something fun to make with the entire family. With apple season coming up soon this is a great idea! My husband would love to gobble this dessert up! 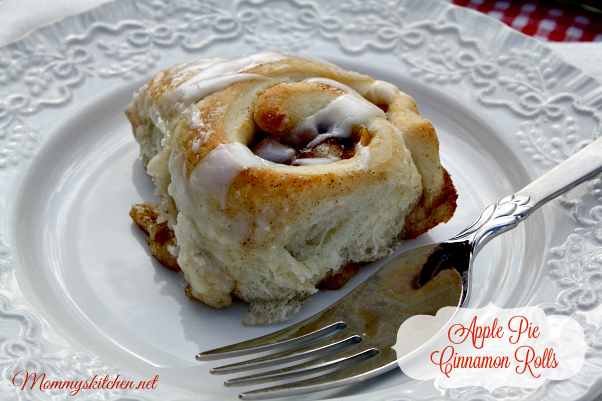 This is the perfect recipe this time of the year when the apple orchards are in full swing. 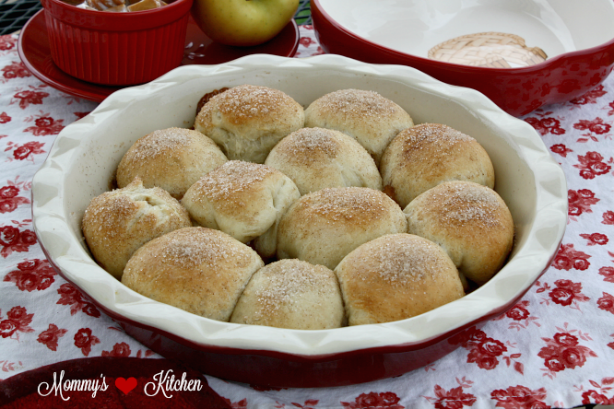 "I have been looking for fall dessert recipes and these Pull Apart Caramel Apple Pie Bombs look like the perfect thing to eat during the cool months. I am defintiely going to be pinning this recope and making it for Thanksgiving dinner! I am sure this will be a hit!"